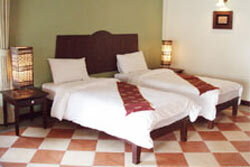 Ayara Villas is a family sized boutique resort and we offer a range of different rooms with single, double, twin or triple bed setting – ideal for singles, coudle, friends and family. 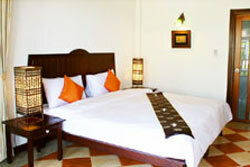 Beautiful decorated with stylish thai furniture it gives a warm and familiar atmosphere. 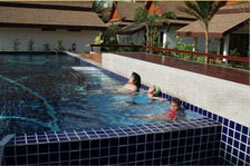 Ayara villas is Located right at the beautiful sandy beach of Bang Niang, Phang-nga. 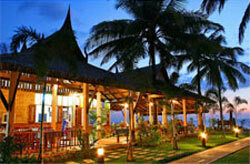 This is the superb place that you can relaxing yourself with refreshing secluded paradise for you. 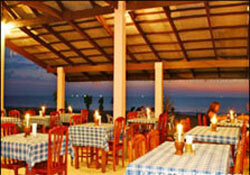 Just 1 hour from Phuket International airport. A small shop located at the front office providing the basic necessities of hygiene products, stationary stamps, postcards, snacks, candy, beverages and some local some local souvenirs. 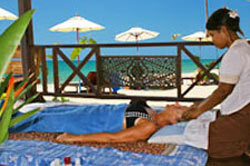 Enjoy authentic, traditional Royal Thai Massage, Aromatherapy or herbal Ball compression massage, Swedish Massage, Reflexology, pedicure and/or manicure at our beach pavilion. 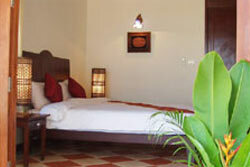 The Resort: Ayara Villas has 27 rooms, in individual or paired bungalows all with in some 100 meters of beach. 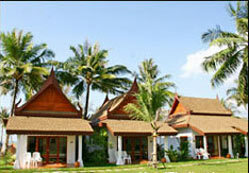 The bungalows are arranged spaciously. Leaving ample space for garden greenery, plants lawns and path ways.